From parades in the morning to afternoon picnics to fireworks at night, your 4th of July outfit needs to cover a lot of bases. (Maybe even a baseball game, too.) The two things to keep in mind? Color and temperature. Then comes the red, white, and blue. Now, looking to Old Glory for color inspo doesn’t necessarily mean dressing like Uncle Sam. 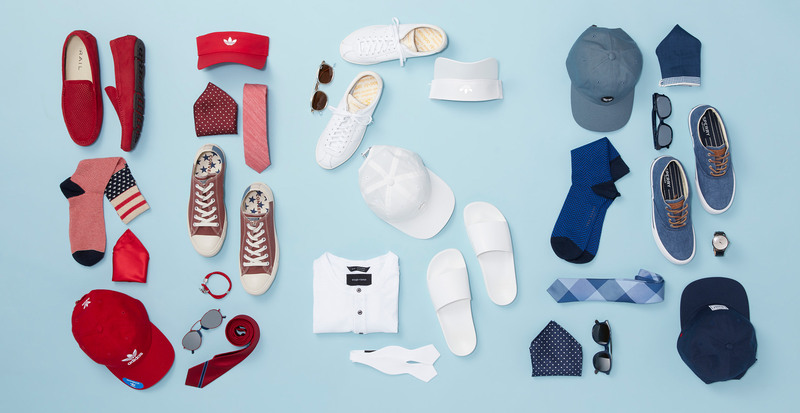 We’ve put together two looks inspired by the colors of the holiday—flag bandanas optional. If you’re feeling the full red, white, and blue, this is the look for you. 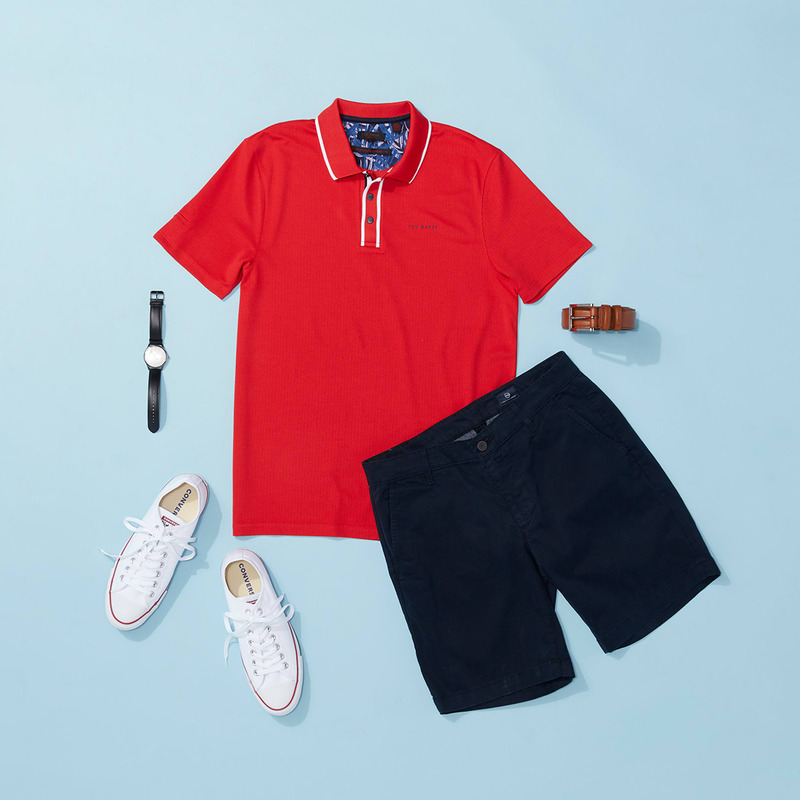 Red on top with navy shorts is an easy way to show your American spirit, and fresh white sneakers are holiday-appropriate, but also a great addition to your everyday summer wardrobe. For a 4th of July outfit that doesn’t look like the flag, choose either red or blue and base your outfit around that. 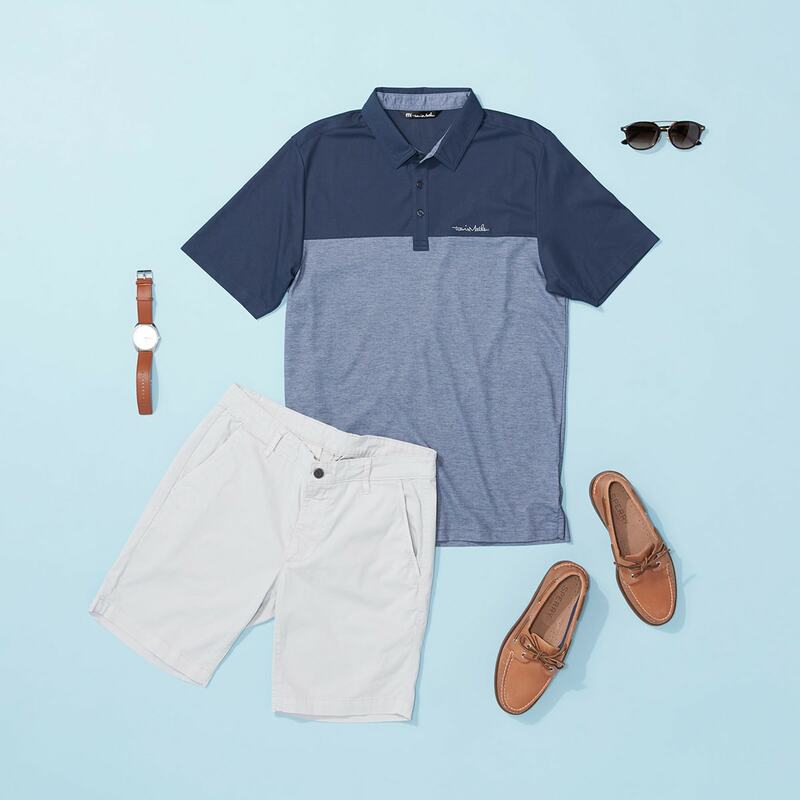 Consider playing with shades of the same color (like this cool two-toned shirt), or incorporating neutrals such as brown or tan to balance things out.